CUBA STANDARD — Brazilian ex-president Luiz Inácio ‘Lula’ da Silva lectured Cuban officials in Havana on how to attract foreign investors. In a speech to government officials and state company executives Feb. 26 at the Hotel Nacional in Havana, the former president touted ”The Brazilian experience in attracting investments — the State as inducer, associate and facilitator”. During a three-day visit to Cuba, Lula also met with President Raúl Castro and toured the new deepwater port of Mariel together with Raúl. “From now on, an even more complicated process begins, and that’s convincing investors of the opportunities the [Mariel] Zone offers,” Lula said during the tour of the port west of Havana. He said he felt proud and happy about Brazil’s role, “because we have participated in this new moment Cuba is experiencing.” ”President Raúl is taking courageous decisions to modernize his country,” he added. “Now we only need to abolish the North American blockade so Cuba can fully develop,” Lula said, referring to the U.S. embargo. 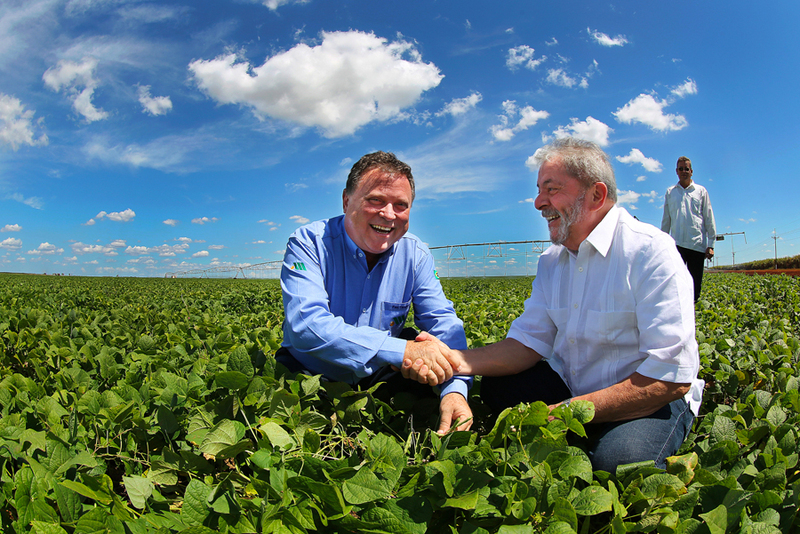 Lula and Castro also talked about sugarcane-based biomass energy projects. 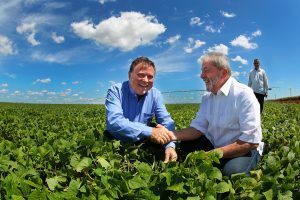 Finally, Lula toured the Brazilian-funded Cubasoy cultivation project in Ciego de Ávila province, together with Senator Blairo Maggi. Maggi is a soy plantation farmer and former governor of the state of Mato Grosso in Brazil who owns the André Maggi Group, a large company that harvests, processes, and exports soybeans.